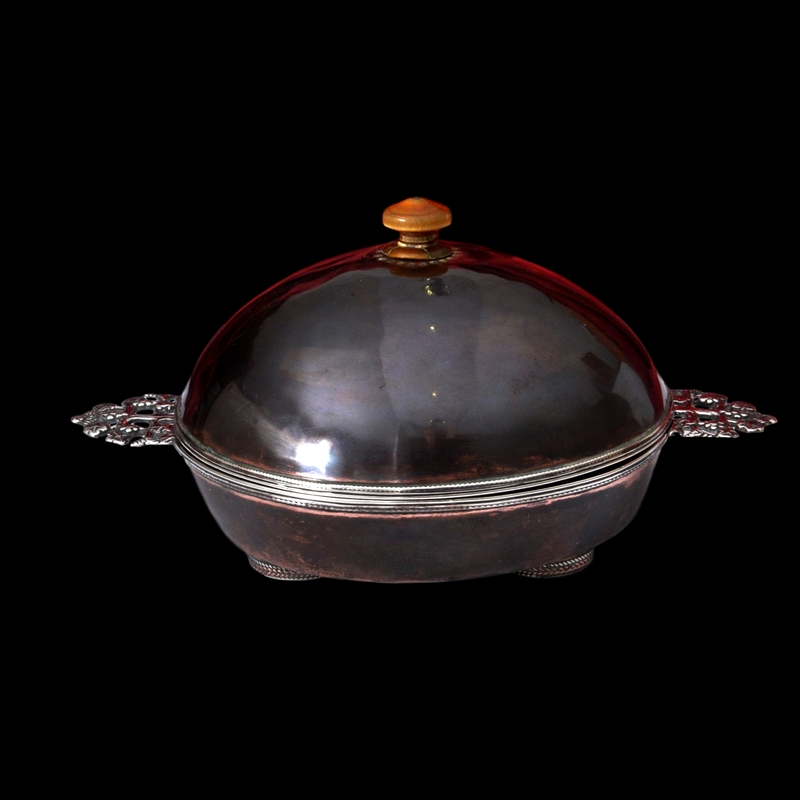 A lovely, small covered dish by the Artificers Guild. 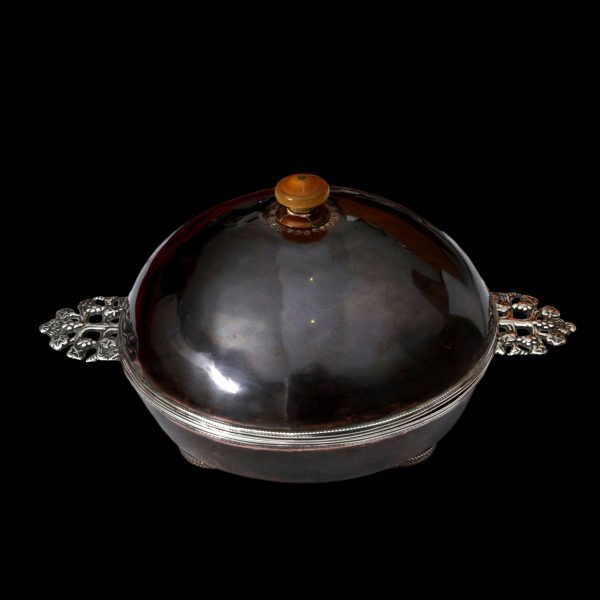 The copper body and lid with classic silver Artificers Guild wire work and tree of life handles. 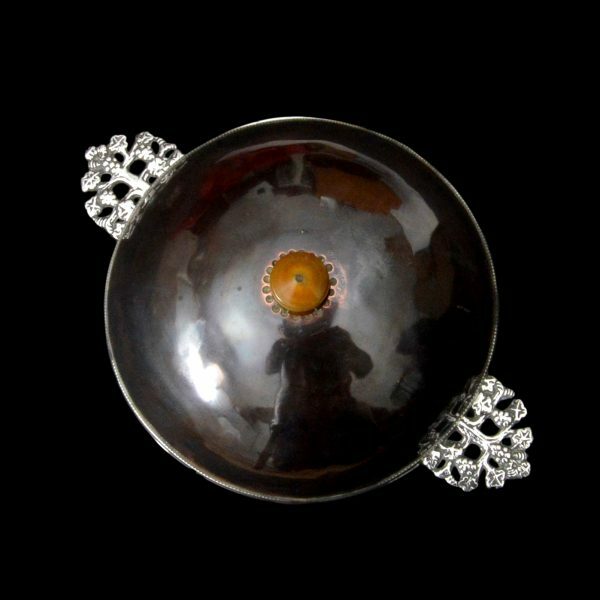 It stands on four brass flat, round feet each wrapped in copper and silver wire. The finial is horn. 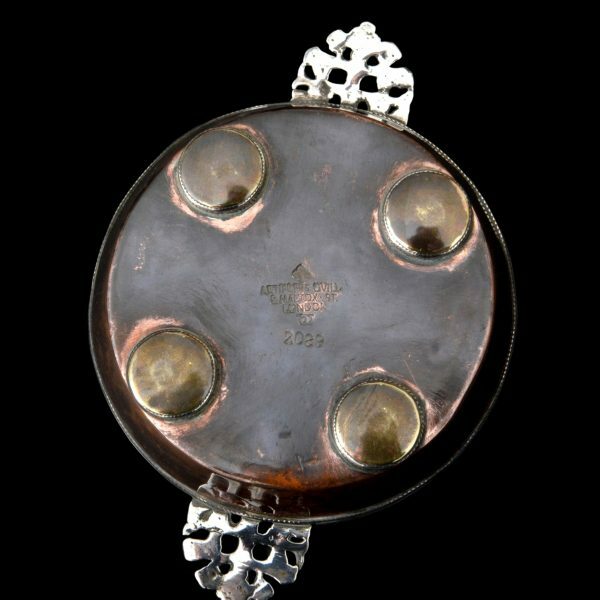 The dish is not hallmarked, which would have been impossible under British assay rules, but is marked for the Artificers Guild, 9 Maddox Street, London. The Guild retailed from Maddox Street up until 1918. This piece is also marked with a tree of life and other monogram and model number 2089, which all seem to be associated with earlier Artificers Guild pieces. The dish is an authentic hand made arts and crafts piece. In very good overall condition the lid is slightly ill fitting and wire work not uniform. 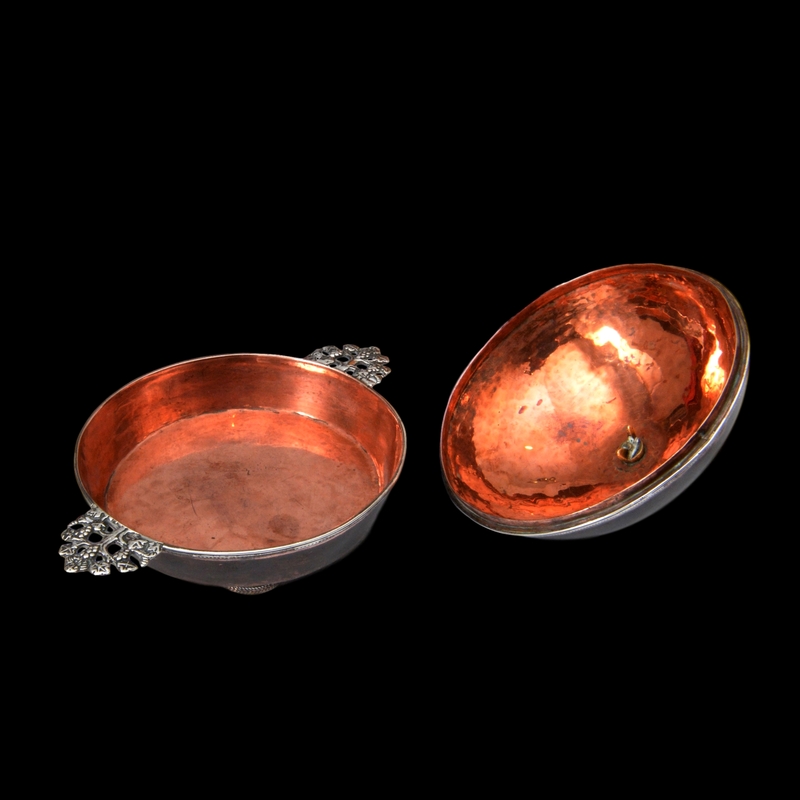 The copper patina is rubbed near where the silver has ben polished.